Using flyer templates it is a great way to get some great results by applying minimum efforts. No matter if you want to create a flyer for you or your clients there are always a lot of free templates for various purposes. All the flyers templates in this set are free for use in your projects and for implementing interesting ideas. It is important to understand that in our everyday life we are surrounded by different kinds of advertisement the way that we event can't understand it completely. It is everywhere - on billboards, on the internet, in magazines, on shop windows and of course in your hands! Today we would like to speak about flyers. So, what are the flyers exactly? Flyer it is a ready-made file that was made in Photoshop (or other program) which is created for the purpose of advertising and promotion. Usually entrepreneurs or organizers use them as invitations for different events, parties, celebrations, sales days, festivals or for achieving more serious goals. For example business flyers are very important for developing companies and make it recognizable among competitors. There are 2 ways to get original and high quality flyer for work or for entertainment. 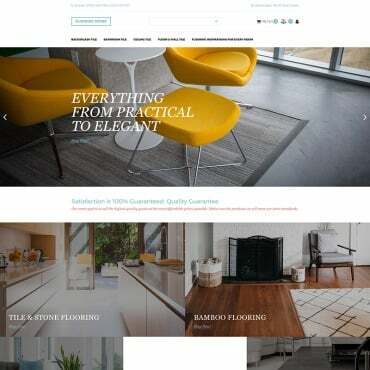 Firstly, it is possible to hire a private designer and tell him all ideas, purposes and preferences about future template. The second way is surfing the Internet and find the best flyer template. We have already done it for you to understand that is it very easy and it can save a lot of time. Free Creative flyer template is good for corporate goals and professional advertisement. The flyer is really very modern. 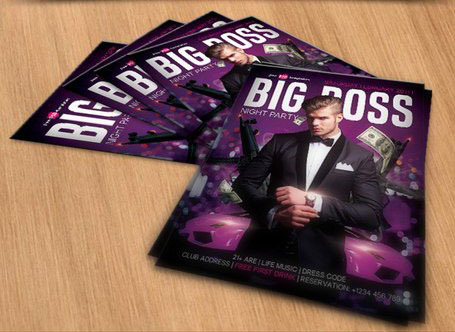 Big Boss Free flyer PSD Template. Download for organizing interesting parties and events. The flyer is attractive and professional. Free Summer fashion flyer template. This template is simple but very powerful. Very clean design can be useful for fashion events. Summer Cocktail Party - Free flyer PSD Template is great for any summer events. In addition there is ready-made Facebook Cover. Buddha Free flyer Template. Awesome flyer template can be very useful for themed parties and special occasions. 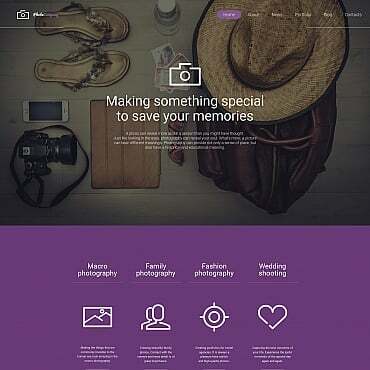 Surfing - Free flyer PSD template has a clean structure and professional design. You can change photos and text on it easily in Photoshop. Guest Night - Free flyer PSD Template + Facebook Cover. Wonderful contemporary template for special parties and evetns. Free PSD GTA Style club flyer. This flyer template is good enough for real gamers and GTA lover. It can be used also for themed events. Smoke Party - Free flyer PSD template + Facebook cover. This is ready-made flyer template that can be used as for private as for commercial goals. Fitness Center - Free flyer PSD Template + Facebook cover. Change colors, texts and photos to suit your needs. This flyer template can work efficiently. Fashion Retail Sales flyers Free PSD template. This flyer has a cool look with a universal design to accommodate almost any type of business like retail sales business or fashion sales. 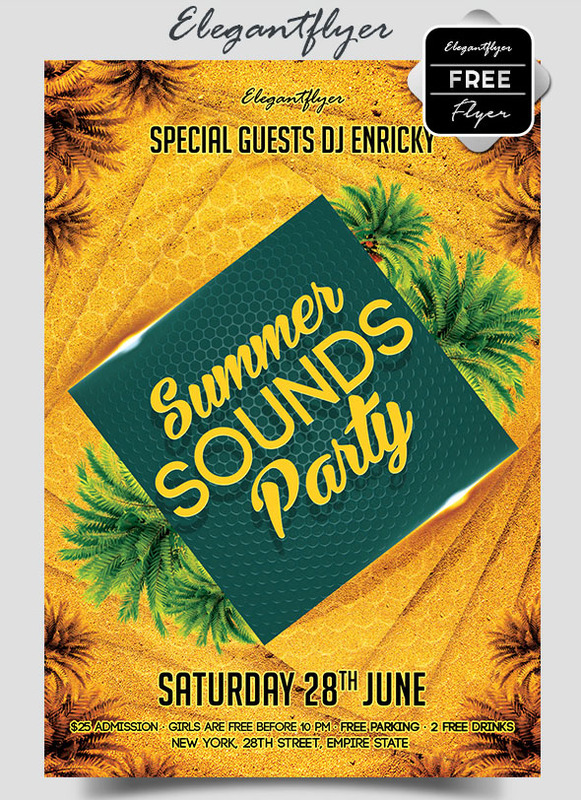 Summer Sounds party - Free flyer PSD template. Amazing PSD flyer template that is great for open air parties, summer events near the sea and for everybody who wants to be original. Free Spring night flyer PSD Template. This flyer template is perfect for any spring events and not only. It is bright, attractive and colorful! Free St. Patrick's day party flyer. The flyer is great for themed Irish party. The main idea is that you can organize such a party anywhere! 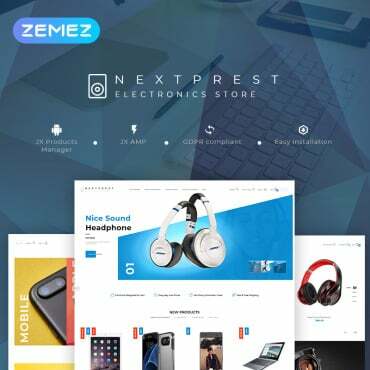 Electro - Free flyer PSD template + Facebook Cover. Download this fashionable template if you need perfect promotion. This flyer is very stylish. Pastor appreciation - Free flyer PSD Template + Facebook Cover. Great flyer template for church events. Use it as invitation or promotion for special days. 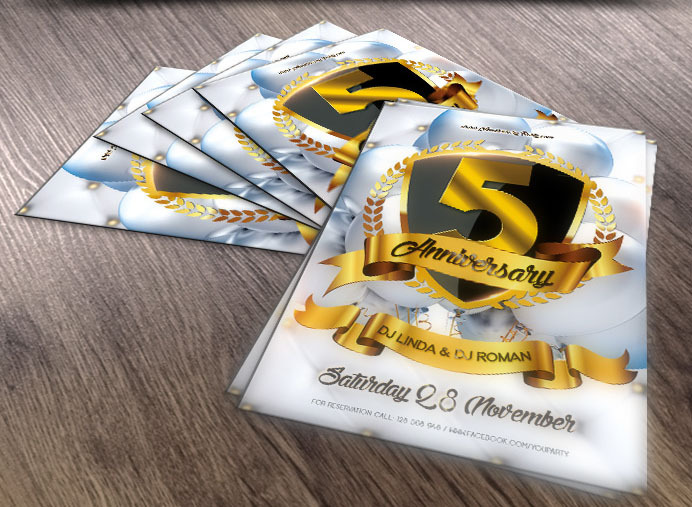 Anniversary party flyer Free PSD can help you in organizing Anniversary event for people and for companies. The flyer has a clear structure and exclusive design. Setting - Free PSD flyer template. This flyer is ready for use anytime you need. Make easily any customizations and reach your goals! Free Spring Welcome party flyer PSD template. This simple but beautiful flyer template is good for themed parties and spring special occasions. We Improve - Free flyer PSD Template + Facebook Cover. 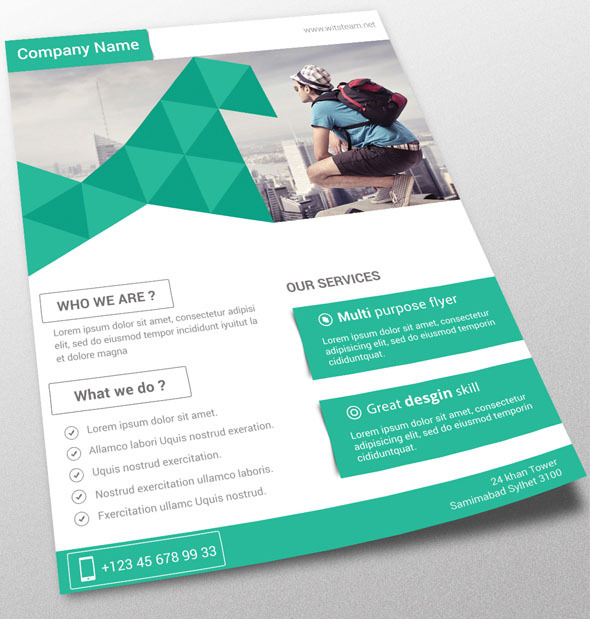 This business flyer template is ready-made file for printing. But if you want you can customize and modify it as you wish. Summer Night - Free flyer PSD Template + Facebook Cover. Download this template for summer events, parties or music festivals. Your guests will surely appreciate it! Classical Music - Free PSD flyer template. This is an exclusive and a rather rare example of flyer for classical music concerts. The flyer is bright and very professional. Luxurious black Night - Free PSD flyer template. This is a professional club flyer for stylish VIP events. Make any changes using Photoshop. 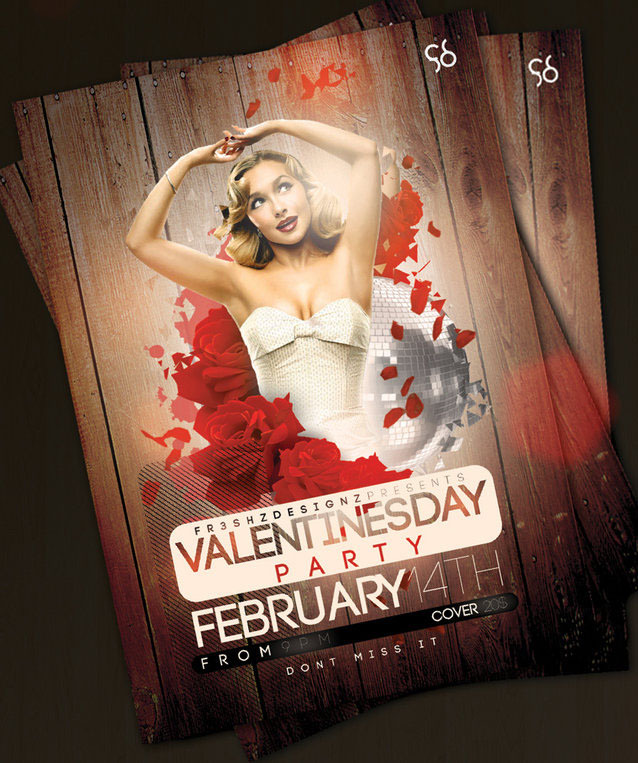 Free V-Day Flyer Template. This flyer is necessary for such a special party because it is really attractive and bring a lot of good emotions. Fashion Week - Free flyer PSD Template. The eye catchy design of this amazing flyer makes it perfect for themed fashion events. We really hope that this flyers set will be useful for you. After analyzing the situation it is possible to make a small conclusion that most of all we like the website www.elegantflyer.com. There are a lot of fresh and modern Free flyer templates and what is more important - every day their collection becomes bigger! We think that it is very easy to find the necessary flyer there. But you can make your choice and use the templates you like most of all. You are free to download any original files in PSD. Enjoy the results!